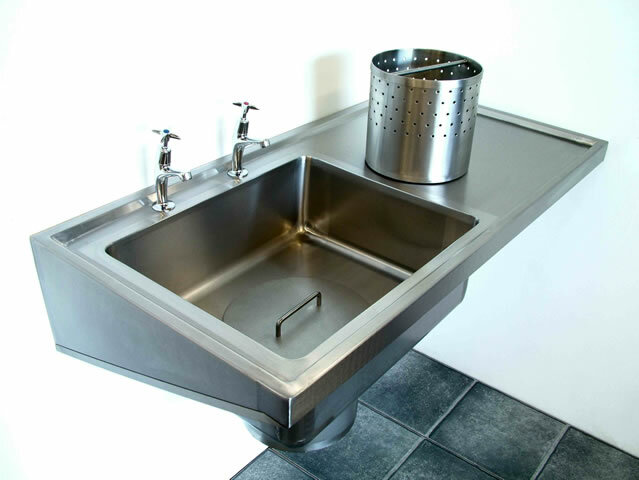 Plaster sinks are manufactured from 304 grade stainless steel and incorporate 2 tap holes and an integral bowl with plaster sump, wall mounted models feature cantilever support brackets, the inset version is supplied with fixing clips. 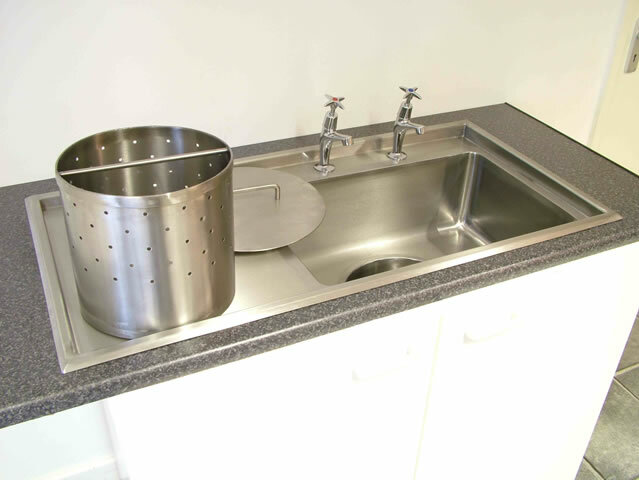 Also supplied is a removable plaster reclaim basket, plaster sump lid and 38mm (1½" BSP) waste fitting. 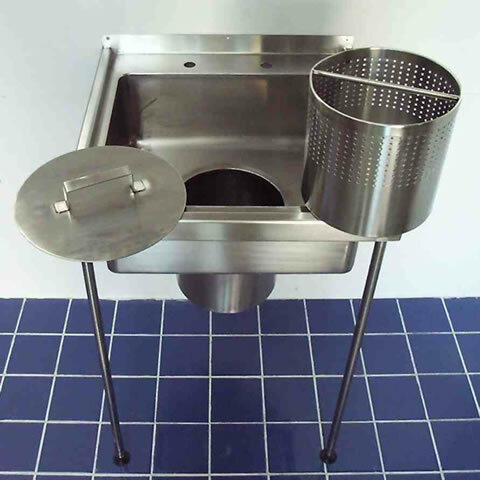 Optional extras are front support legs, if required the unit can be manufactured without tap holes. Delivery lead time is usually about 10 to 15 working days from order, with free packing and carriage to the UK Mainland.